Greg Rogers, one of the area’s top football prospects in the class of 2017, has transferred to Arbor View from Centennial. 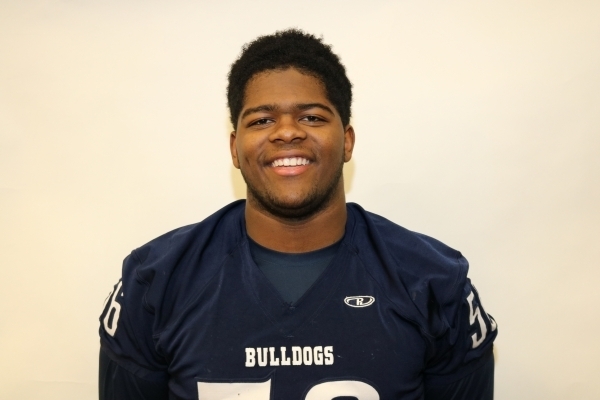 DL Greg Rogers, Centennial (6-4, 311): The junior had 64 tackles, 17 tackles for loss and six sacks. He was selected to the All-Northwest LeagueÃ¾ÃÃ´s first team at defensive tackle. 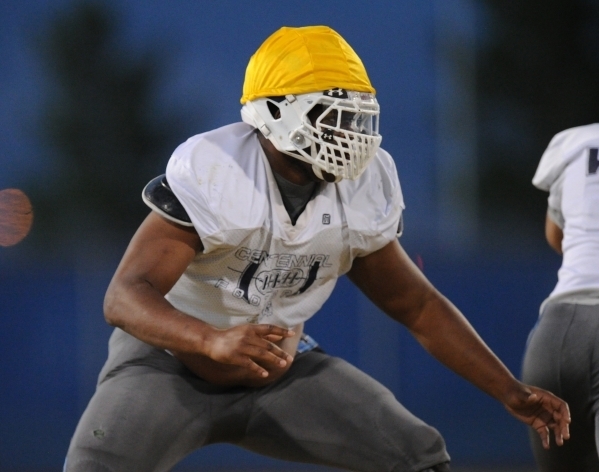 Rogers, a 6-foot-4-inch, 311-pound defensive lineman, is a four-star prospect and rated the nation’s No. 3 defensive tackle (No. 45 overall) by Scout.com for the class of 2017. He is the No. 11 defensive tackle and No. 173 overall by Rivals.com. As a junior at Centennial, Rogers had 64 tackles, 17 tackles for loss and six sacks and was named first-team all-state. Rogers has scholarship offers from more than half of the Pac-12 Conference and also has drawn interest from the likes of Notre Dame, Oregon, Southern California and Texas A&M. Arbor View went 10-2 this past season and reached the Division I Sunset Region title game. The Aggies clinched the Northwest League title with a 17-14 victory over Centennial in the regular-season finale.